As an FYI: We do not release details other than what is already released here. That is due to the fact that these are OPEN cases and any information released is not only accessible to you, but also the suspect. suspects to get away with what they did because of information gathered here. The North Platte Police Department would like your help in identifying this person in regards to an ongoing investigation. Please submit your information anonymously by going to our home page and clicking on "Submit a Tip", visit us at Facebook, call local 308-534-8400 or 800-933-TIPS. You may also call on our non-emergency line 308-535-6789 if you don't wish to remain anonymous. Crime Stoppers will pay a reward of up to $1,000 for anonymous information that helps solve this or any other crime. Remember, we don’t want your name, just your information. PERSON AND VEHICLE OF INTEREST!! 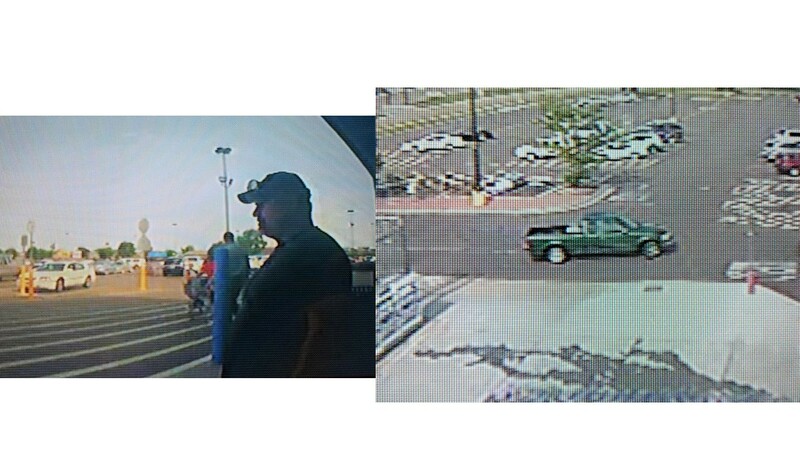 The North Platte Police Department would like your help in identifying this person and/or his vehicle in regards to an ongoing investigation. Please submit your information anonymously by going to our home page and clicking on "Submit a Tip", visit us at Facebook, call local 308-534-8400 or 800-933-TIPS. You may also call on our non-emergency line 308-535-6789 if you don't wish to remain anonymous.